But after a couple years of Nigerian Prince Schemes, Spanish lotto scam and huge number of unbelievable scams and phishing, how do people feel about email now? Is it still a pointed technique for small businessmen and marketers to follow? The sweet and simple answer is yes, email marketing is still the best way to be followed to grow your business and to give the perfect base to your business. But what if you come to know that the golden strategy you are following is not going in it’s right place. You customers are no more into opening your mails and reading it or even more horrible, that your emails are decorating your client’s spam box. Your emails are representing your company, reaching to the spam can’t be corrected definitely but yes we have so free tactic which can improve your emails preventing them from reaching the spam. It is studied that 49% of emails are being read in mobile devices. So the very first point of improving your emails include making your emails an all device responsive emails. Make your emails that much flexible that it can be read by customers wherever they want, either laptop, phone or tablet. 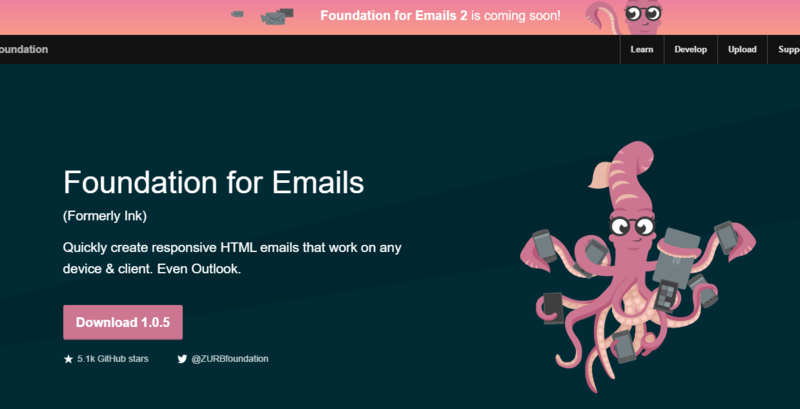 One such tool that can make your email read anywhere and in any device is “Foundation for emails.” It is a CSS framework that can help you in making HTML emails that can be read anywhere. The main problem which comes in email marketing is it’s non predictive nature that is it going to land safely in customer’s inbox or will stuck to the spam box. There are a lot of factors which make it fall in the customer’s spam box. But no more worries, we have a toll and yes it’s completely free that can check where your email stands. 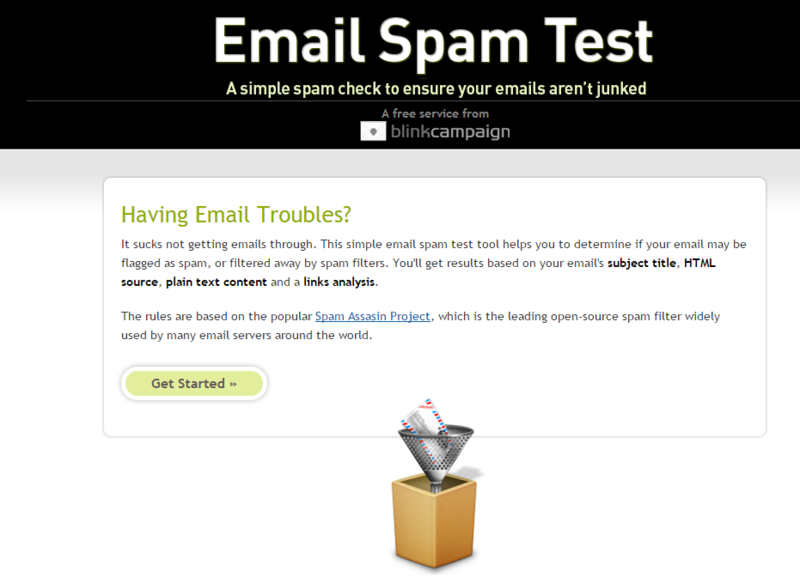 Email spam test tool will help you knowing that either your emails are flagged as spam or blocked by spam filters. The result will be declared by checking various factors like subject line, HTML source, text content, and link analysis. It’s rules are based on the Spam Assign Project, which is very heightened open source spam filter. For whatever would be the reason you are writing a mail to your customer the first impact is your subject line and the main impact is your content. Your content is the mirror of your email, improving your content will definitely help you out in generating good emails. 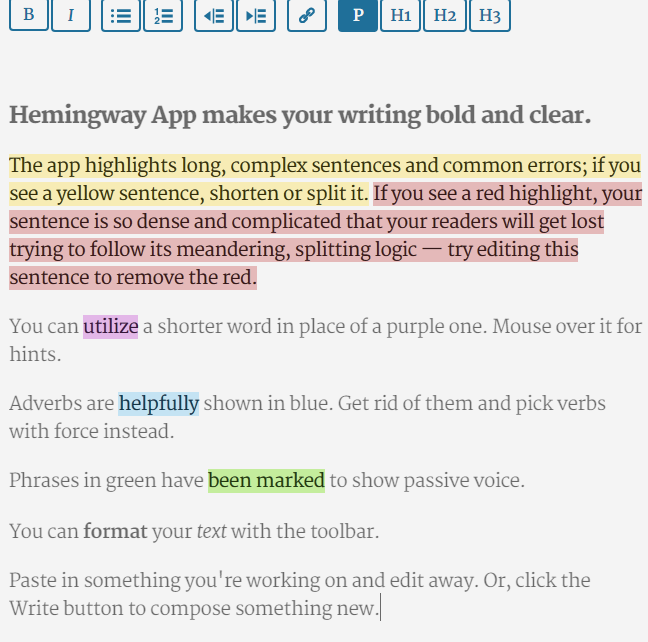 Here’s tool Hemingway App which will let you know that with your content are you really going to strike your customer’s mind or will bounce back. This app helps you to write bold and clear emails,highlighting your mistakes and even complexity of your sentence. You can make your content more interesting and spam free with this ultimate tool. This tool helps you in determining your deliver ability, quality of your emails by giving your email score between 0(bad) to 100(excellent). All you have to do is copy your message and paste and click on “check message.” What could be better than this that you can check the score of your email before delivering it. 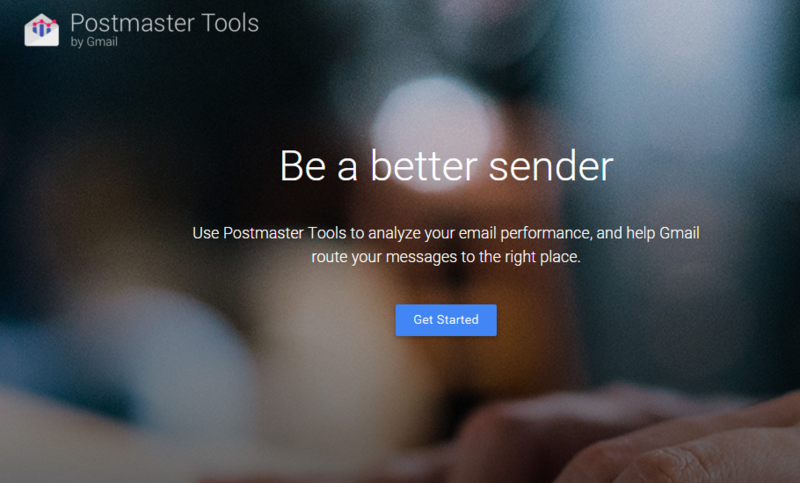 Very recently google has launched it’s postmaster tool, with lots of success stories there was still one question keeps on revolving around the head of Gmail email providers that how their emails are getting treated? Are they getting into inbox and left stuck in spam. It helps bulk mail senders to know that are they where their emails are landing and even they are getting land or not and if getting land than what is the reason of getting stuck into spam rather than going to inbox. This is a very useful tool for bulk email senders to know their status and improve it. Email reported as delivered ain’t necessarily delivered to email inbox. Your email can be found in junk box or spam box and other email folders due to email filtering or rerouting of emails that happens after delivery of emails. 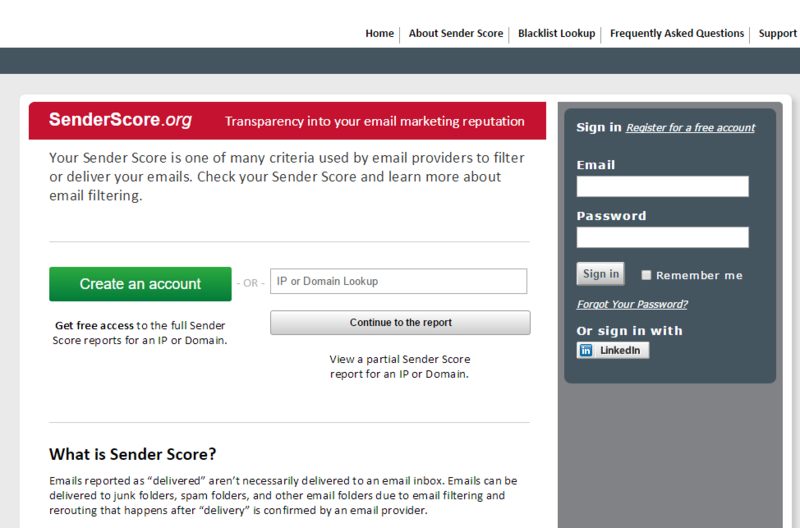 Sender score is one of many criteria used by email provider to filter or deliver emails. It is a trustworthiness of an email sender’s IP address to check the filtering criteria. Using image is the best way to attract your customer’s attention towards your email. It’s proved that a human mind is more likely to grab a graphic knowledge faster than a text document. Adding image is not enough to make your email attractive, it should make up a complete match up of your email. 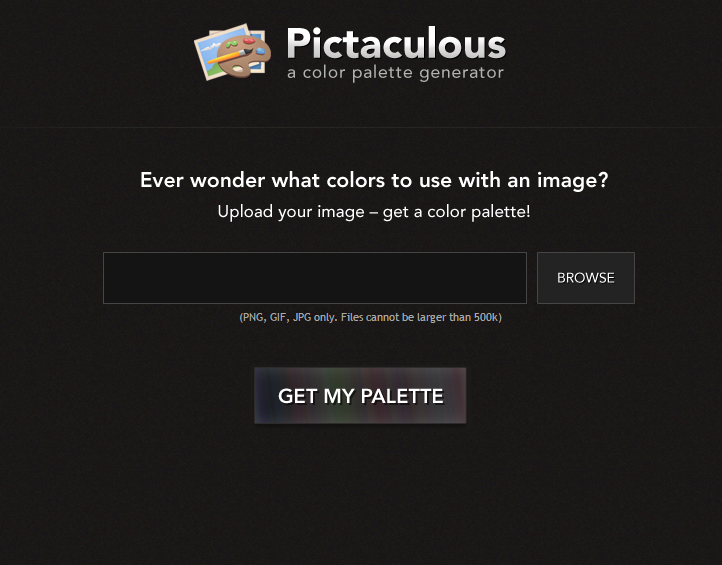 Pictaculous is a free tool which can guide you in selecting the appropriate palette in accordance with the image you are using. All you to do is to submit the image in this useful tool and it will provide you the corresponding palette of colours with the help of Adobe color and Colour lovers. This is another very useful tool to check the deliver ability issues of your email. It checks your mailing performance with analysis of the content. It helps you in comparing your deliver ability performance with industry and regional benchmarks as it always good to know that in the whole market where you stand. It also provides you deliver ability alerts to check your performance. It’s very necessary to check that how much of clients are showing their interest in your emails. Providing an url is not enough more to show that you want your customers to grab knowledge but we have to always remain ready that how much of customers are actually grabbing that knowledge. This is an amazing tool to track your way to success. It helps you in tracking that which of your promotions are generating more traffic. With this tool you can easily tag URLs with custom campaign variables. If you are going to plan using image in your email campaign, then Freepik it the best tool to provide you free vector designs. 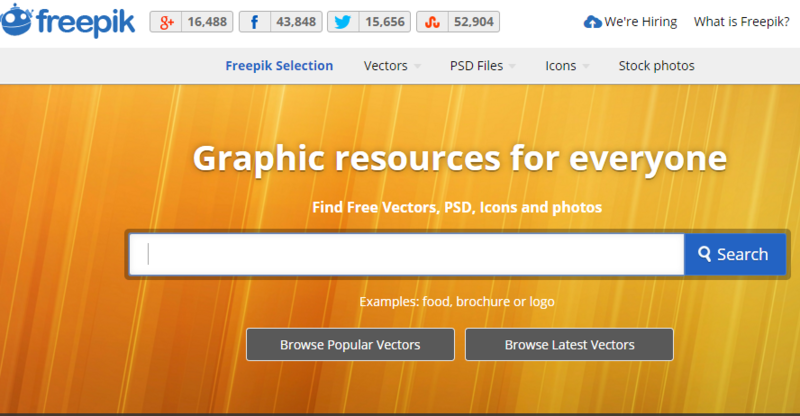 Apart from vector designs, it’ll help you in providing PSD files, icons and stock photos. It will make your emails more attractive and will increase the opening rate of your emails. Streak is a customer management tool for your emails. It will help you tracking your emails, merging of emails, send later and many more. Streak is a premium tool to manage your emails which offers a free plan for 200 mails tracked per month. 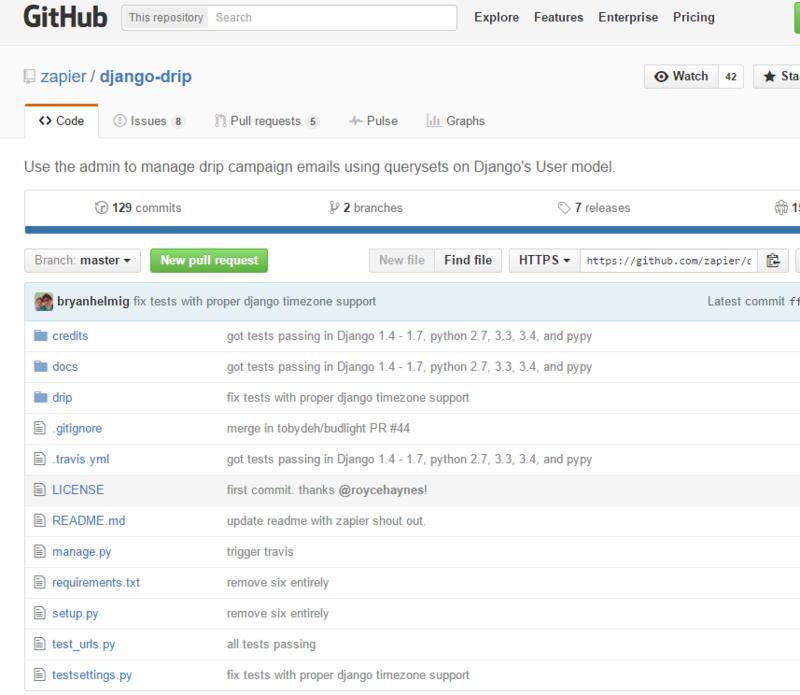 Django is from Zapier an automated email tasks tool. It is an open source tool for Dri campaigns. Drip campaigns are pre written sets of email sent to customer or prospects over time. The irritating thing which I face when I open my subscribed email is, why they try to add images if they don’t have good techniques for the same. This is not only my thinking but all of your subscribed thinks the same for your email when they need to wait or can say have to waste their important 2 minutes just for checking the image that you added to your email. Images enhances your email quality but what if you found to know that these images are the one being responsible for not getting response to your email. Over sized images therefore can create a lot of problems. For avoiding such problem, here’s the tool Tiny PNG which will help you in compressing the images and that too with a negligible change in the quality of the image. 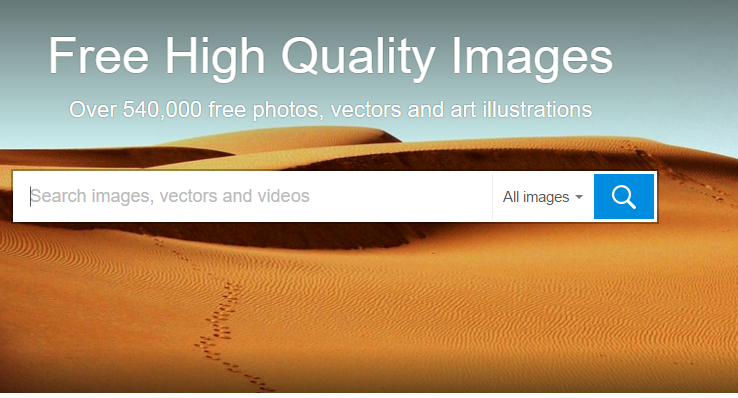 Pixabay is good stock of images, vectors and videos for your email with leading quality. he site ha 530,000 free photos, illustrations, vectors and videos to improve your email. GNU Mailman is a Python powered free software that helps you in managing email discussion and e-newsletter lists. If you are handling a company with a long list of your subscribers than Mailman is the best tool to manage your email list. It supports built in archiving, automatic bounce processing, content filtering, digest delivery and many more. There is another very creative tool to make your email more creative not only with the stuff they provided but even you can use your own photo. 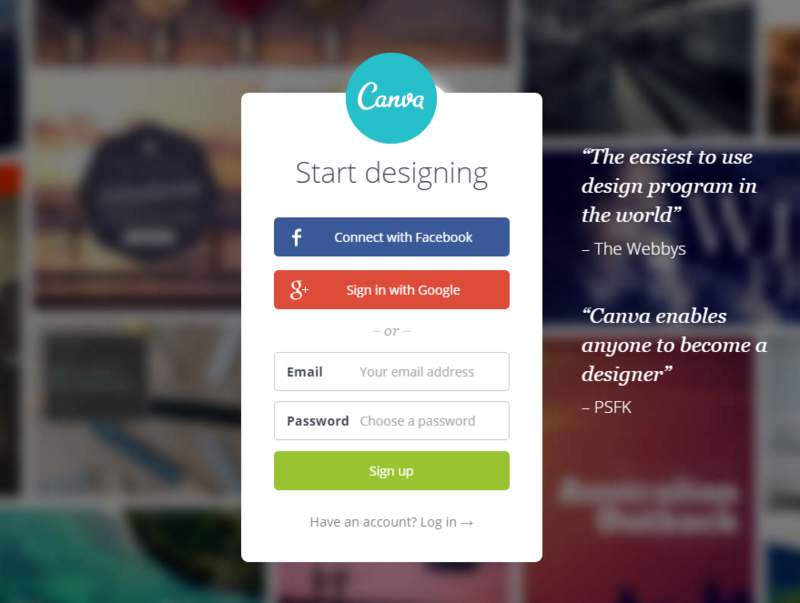 Canva is a layout designing tool. You can edit photos with predefined filters, hundreds of fonts and what not you can find here for your email newsletters or email blogs or email cards and many more. Are you fed up wasting your time in annoying HTML email fixing. 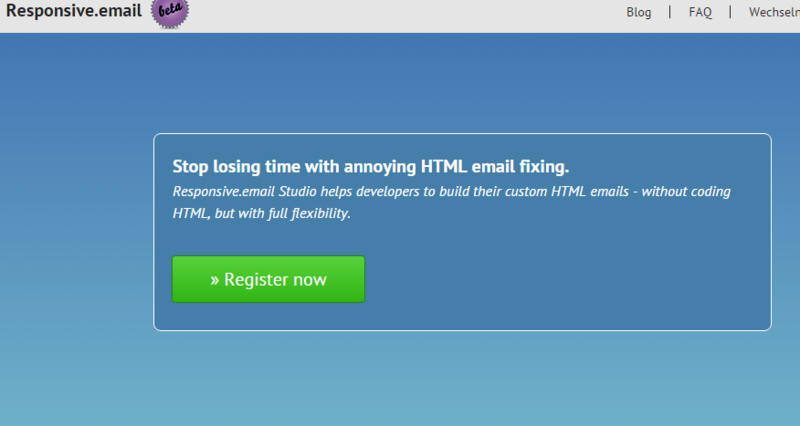 Here’s a tool which will make your HTML email fixing experience more soothing and comfortable. 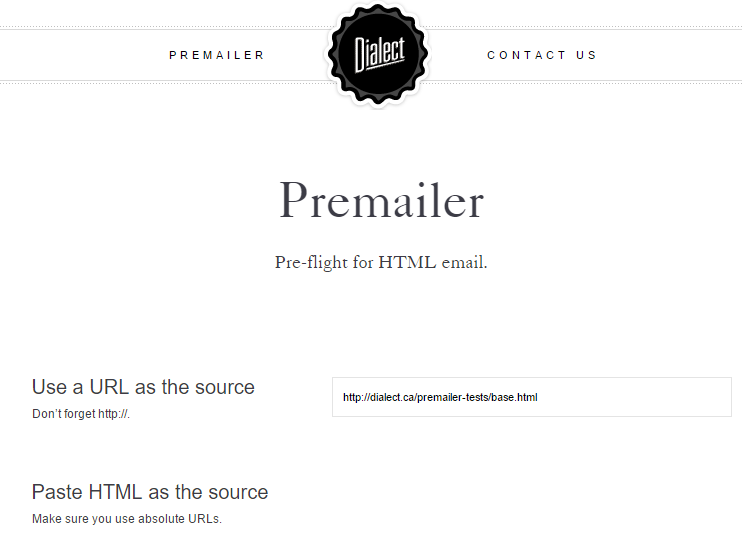 It is a custom HTML email building tool without coding. Apart from avoiding the coding part it allows you to become fully flexible for your emails by providing you the option to check the preview change the layouts, optimize images and many more. It is RSS to email campaign tool. You can add your bunch of RSS over here and will produce the master email campaign for you, saving your time and your resources. It is free tool for HTML email that converts CSS style to inline style attribute. It creates a plain text version of your message. It checks your HTML and CSS compatibility with email programs and provides a report. It is a free tool to create a clean and website based version of any email, with desktop and mobile previews. It allows to share templates and designs. It makes email to be displayed in a desktop view or even in screenshot of your phone. You can even check the source code by source inspector. These were the 20 ultimate free tools that can help you in stepping forward from spam to inbox. Knowing your mistake and then correcting is the best way to grow your business. Email marketing is important for your business. So, make sure that your emails are at correct place. This is a huge list and a very resourceful one I think. Its good to see that one can boost his email marketing with these tools and links. I use a couple of these tools but many are new to me. However, its still important to identify the best fit tools and functions for designing, promoting and tracking emails. I will like to checkout tools like Google Postmaster and the Django! I am really glad that you found this post a resourceful one. Yes you are right that it’s important to identify the best fit tools, all the tools represented here are free and one can choose his best fit one as per his comfort ability. It’s good to hear that you’re going to checkout for Google Postmaster and Django as both are very efficient tools and ‘ll definitely help you in growing your email marketing. Thank you so much for stopping by and sharing your views!! 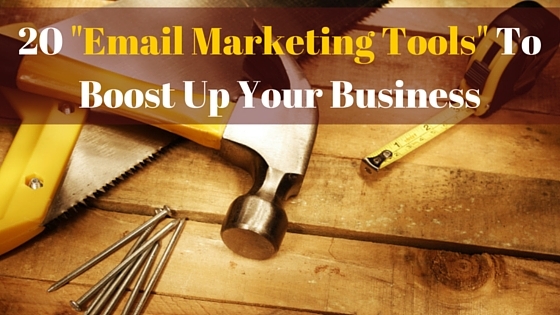 Great tools for email marketing here! I gotta say, more than half of these are new to me! So thank you very much for that! And yeah, email marketing is still a great way to communicate with your customers and potential customers. I dont think emails will ever die! Great tips and tools here! Yes you are right email marketing can never die. It’s an Old but Gold Technology and yes the most personal way to get connected with your customers. Thank you so much for your appreciation and I am very pleased that you liked this piece of work . Have a great weekend to you too! !